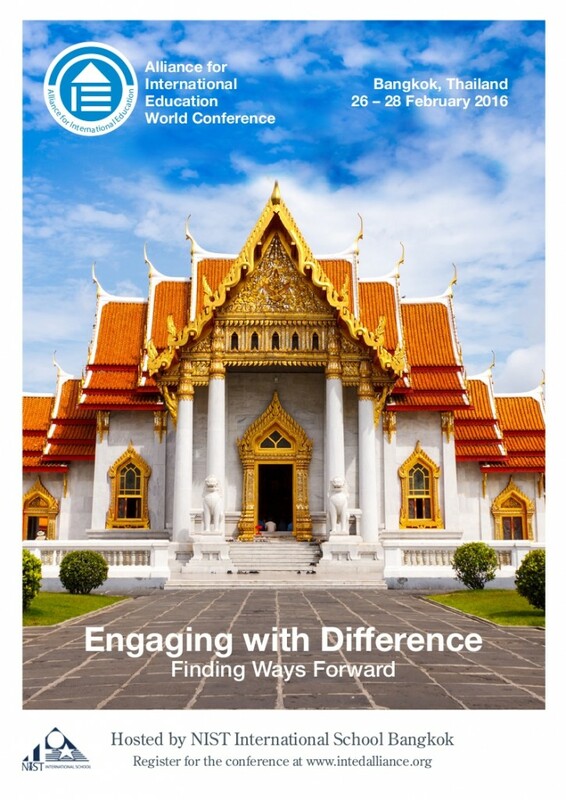 On January 26-28, NIST will host Alliance for International Education World Conference, with the theme of ‘Engaging with Difference’. AIE is an organization promoting intercultural understanding and collaboration and is connected to Bath University through the Board Members of Jeff Thompson and Mary Hayden, who have done a lot of research and published leading books in the field. AIE is hoping to generate a lot of interest in the local practitioners in the field of international education. It would be great to have your staff present some case studies, or lesson plans how they have ‘engaged with difference’ in their schools. The presentations are only about 20 minutes so this is a great way to get your work recognized! We are also setting up a Local Committee, that will be involved in organizing the Conference. Most of the logistical work will be done by NIST, but we would like to welcome all your expertise in publicizing the event, and encouraging student involvement, e.g. in the form of IT help, presenting some projects etc. This will not take up a lot of extra time, but will ensure that you get to attend a fantastic Conference with lots of new learning and research! If you, or anyone in your staff, are interested in acting in the Local Committee, please advice them to contact me at mruokanen@nist.ac.th. 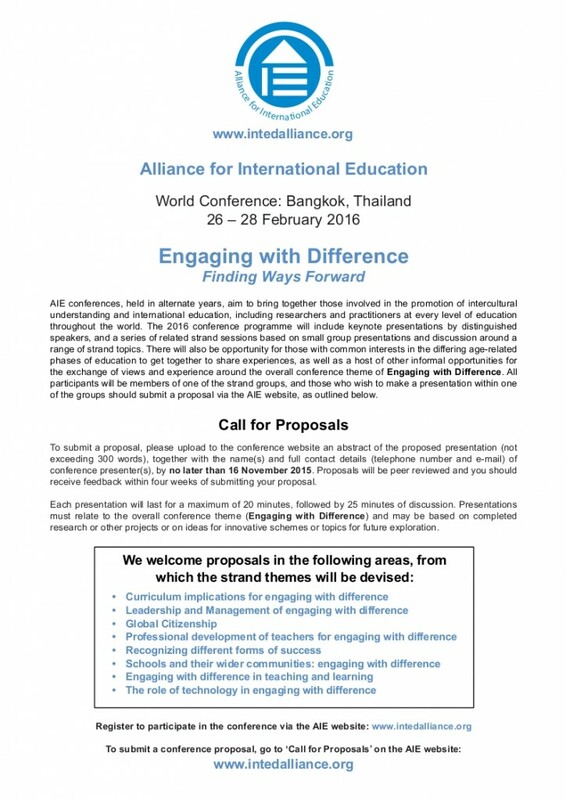 Learn more about the Conference on AIE website. Vital seminars on how to move forward within your role: covering practical points, technological breakthroughs, utilising social media, building on your existing skills, managing change, and leading your manager to success. Leading your manager to success. Gillingham approach while continuing to work supervised by a Fellow. Dyslexia Thailand is sponsoring an Orton-Gillingham Academy Accredited Associate Level training course in June 2015. This 63 hour course is required to become an Associate member of the Orton-Gillingham Academy. The Academy is the only organization established and authorized expressly to set and maintain professional and ethical standards for the practice of the Orton-Gillingham Approach. 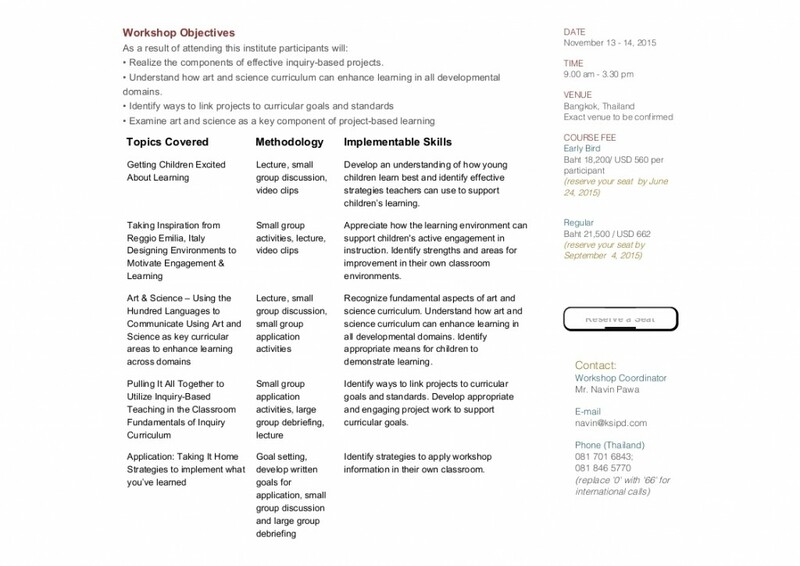 The course will be taught by two fellows of the Academy of Orton-Gillingham Practitioners and Educators (AOGPE), Dawn Nieman and MaryAnn Chatfield. This course is an exclusive opportunity to work with AOGPE Fellows within Asia. MaryAnn Chatfield,Fellow/AOGPE. Diane Nieman. Fellow/AOGPE. Our mission is to increase awareness of dyslexia in South East Asia where 10 – 20% of all school populations will have students struggling to reach international standards in literacy and/or math. By increasing awareness and training we hope to develop the quality of teaching and intervention that these children receive, to reach their educational potential. Facilitator: Deb Masters will be joining us from the Visible Learning Team. Visible Learningplus is an in-depth school change model of professional learning and development. It is based on the principles of Visible Learning that have developed from Professor John Hattie’s research and his two books. Professor John Hattie has undertaken the world’s largest research based around the question: What works best for student achievement? This body of ongoing research has shown some key strands for teachers and leaders to understand. The workshop that will be happening at Bangkok Patana on this occasion will focus upon Effective feedback in the learning process. You will gain an understanding of how learning intentions and success criteria are the basis for giving effective feedback and how you can use the three instructional feedback levels. You will also learn the difference between praise and effective feedback. The job-alike workshop was created as a format to allow group of like-minded professionals to create opportunities for curriculum-based CPD that relies on the skills and knowledge of the delegates themselves rather than relying on expensive key note speakers. 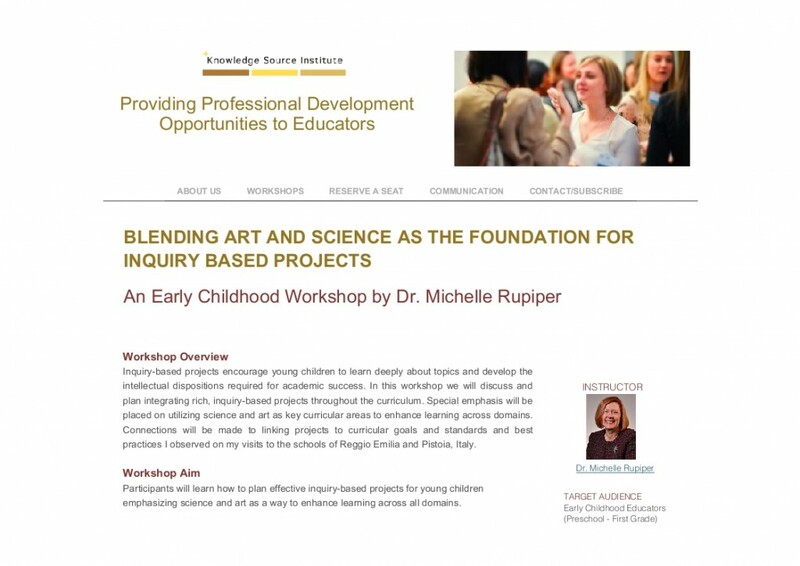 These workshops are an opportunity for you to share good practice and co-construct new knowledge with other FOBISIA teachers. This is a professional event. Registered participants are required to contribute to the agenda and to contribute to the presentations. The impact of technology on education has been transformational in many of our Schools. With many seeking to fully leverage the potential of these tools there has arisen a need for teachers to explore how technology can be fully utilized to enhance and transform teaching and learning. 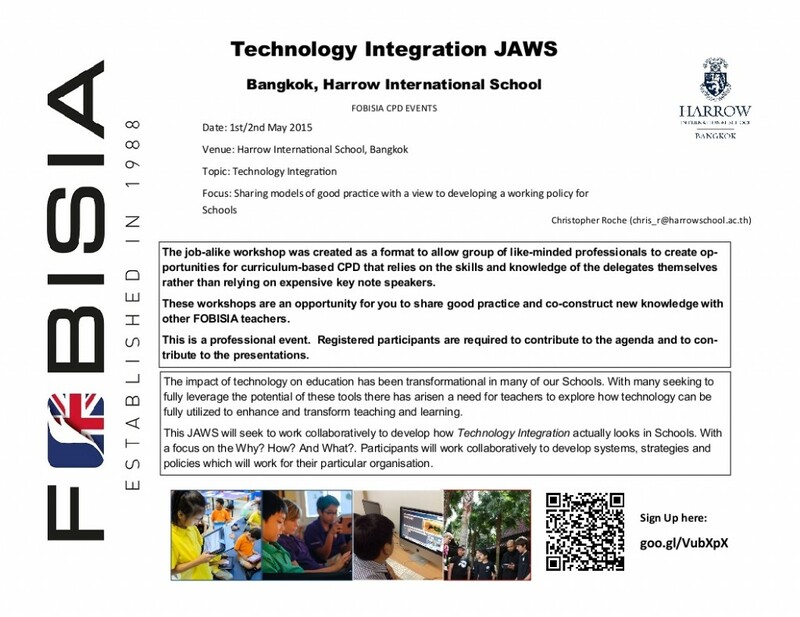 This JAWS will seek to work collaboratively to develop how Technology Integration actually looks in Schools. With a focus on the Why? How? And What?. Participants will work collaboratively to develop systems, strategies and policies which will work for their particular organisation. There will be a wide range of workshops to enjoy and opportunities to network with staff from other schools. Cost: 500 Baht, which includes drinks, snacks and lunch. An opportunity will be provided to socialize afterwards at a local pub. Drinks will be the responsibility of the participants. We look forward to seeing you at the BTN! Please find here details of a CPD opportunity Sign 4 Learning Workshop which will take place at Bangkok Patana School on Thursday 23rd April. Sign 4 Learning is a unique initiative that successfully uses signs taken from British Sign Language to increase targeted vocabulary in hearing children. The action of the sign, coupled with the spoken word is a powerful tool that helps children to remember new vocabulary and concepts effectively. Children learn best when they are actively engaged and with Sign 4 Learning they are not just hearing and saying new words, but doing them as well. Data from Sign 4 Learning shows significant and measurable progress towards the Early Learning Foundation Stage (EYFS) goals following an 8 week intervention using Sign 4 Stories and Sign 4 Feelings and Behaviour. DEEP Learning conferences offer an innovative teaching & learning experience. We pride ourselves on bringing the best of many worlds together. We are confident you have never attended a professional development event where such emphasis has been placed on giving you the ability to craft your own personal experience. We make it our business to ensure the greatest possible value through differentiation for each participant. Travel your own differentiated path and learn how to leverage devices at your school while improving learning with innovative pedagogy. It is shaping up to be an exciting event with presenters flying in from Malaysia and Singapore on top of our incredible pool of local talent. Come and join in this amazing opportunity to improve your practice, network with colleagues from the region, and enjoy the delicious food, drinks, and atmosphere.